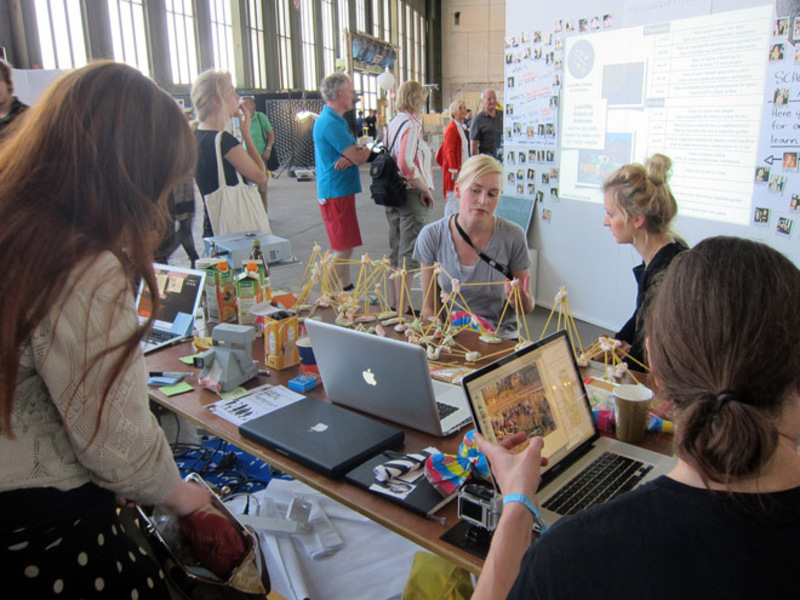 Bartaku's Temporary photoElectric Digestopians Worklab produced some beautiful solar energy snacks which were enjoyed under the hot Berlin sunshine. 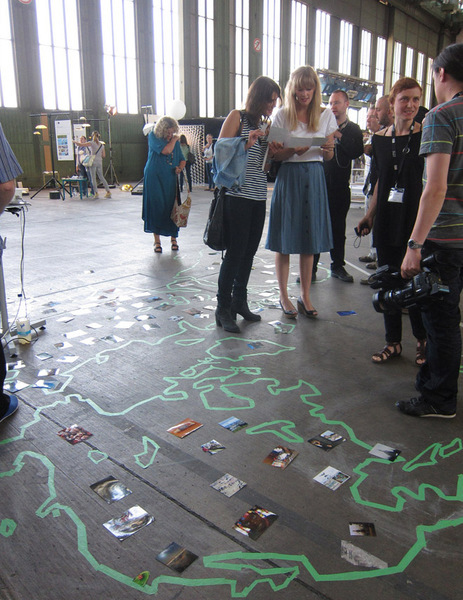 Some photos here + Bartaku's interview by Regine Debatty at WMMNA. 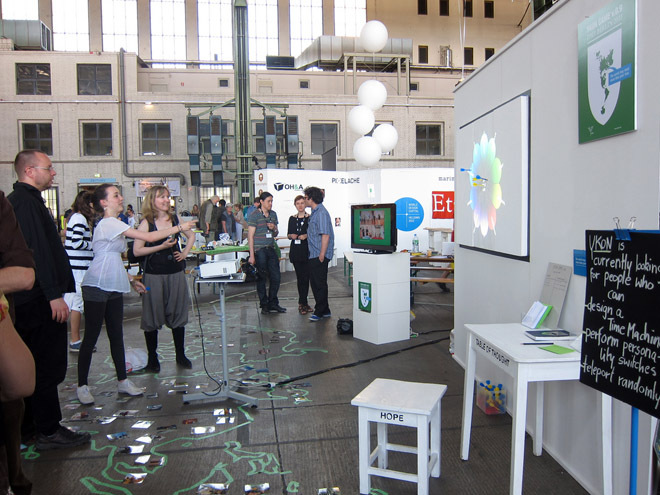 The YKON Game was one of the nominees for the DMY 2011 Award. They experimented with some new game formats in preparation for their large scale Brazil project this summer. The Low2Now Camp project brought a busload of urban activists from Helsinki to Berlin. During three days they were running the Low2No School of Activism and in visited various venues and organisations around Berlin. 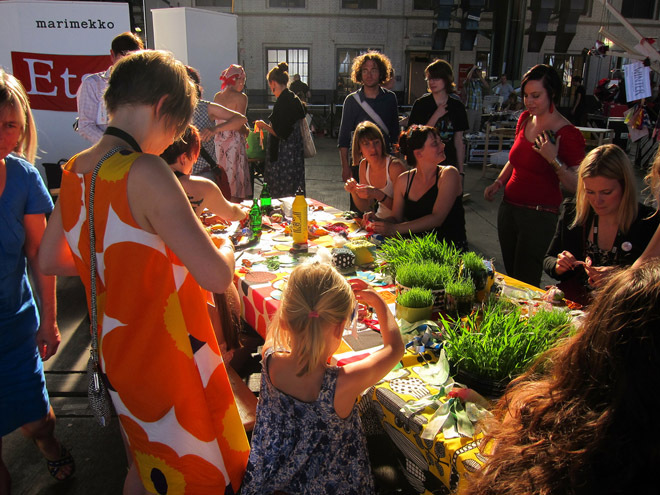 More information and great examples of urban grassroot initiatives can be found at Low2Now Camp blog. Massimo Menichinelli gave two presentations: 'Open P2P Design' and 'Open P2P Design & Markets and business models for Open and DIY projects'. 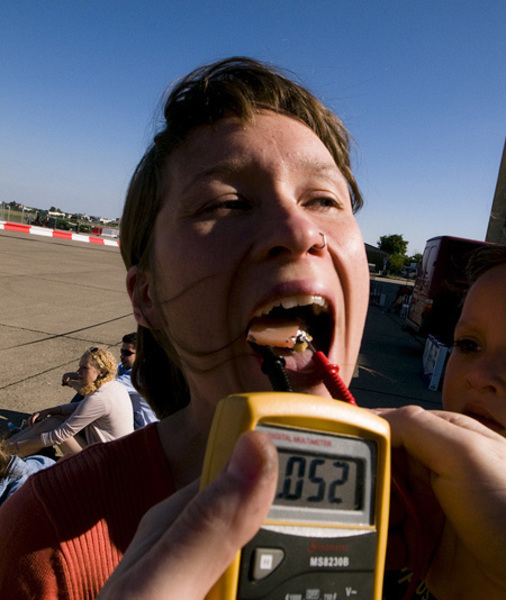 You can find the presentation slides here. We*Love* Open Data is a bunch of open data researchers and enthusiasts from Helsinki. During DMY they managed to collect and visualize information about rental prices in Berlin. 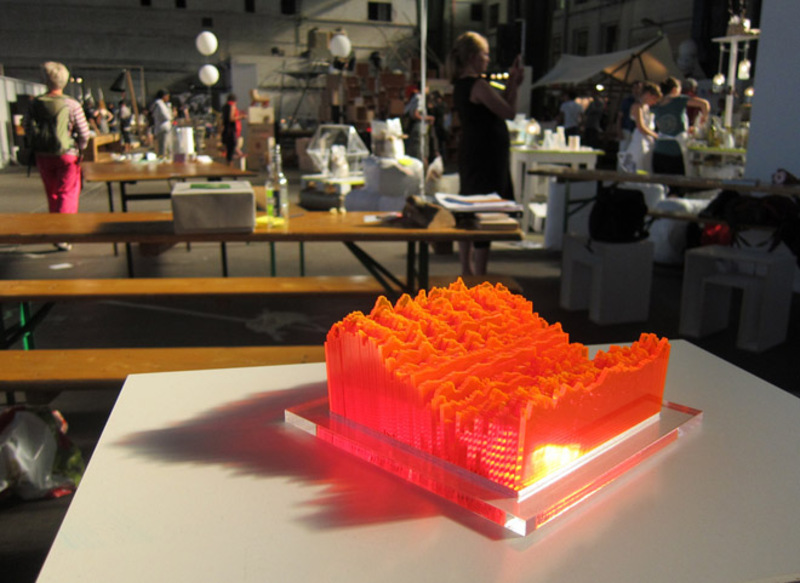 In addition, Miska Knapek presented his 'sculptures' that visualize long time spans of weather data. 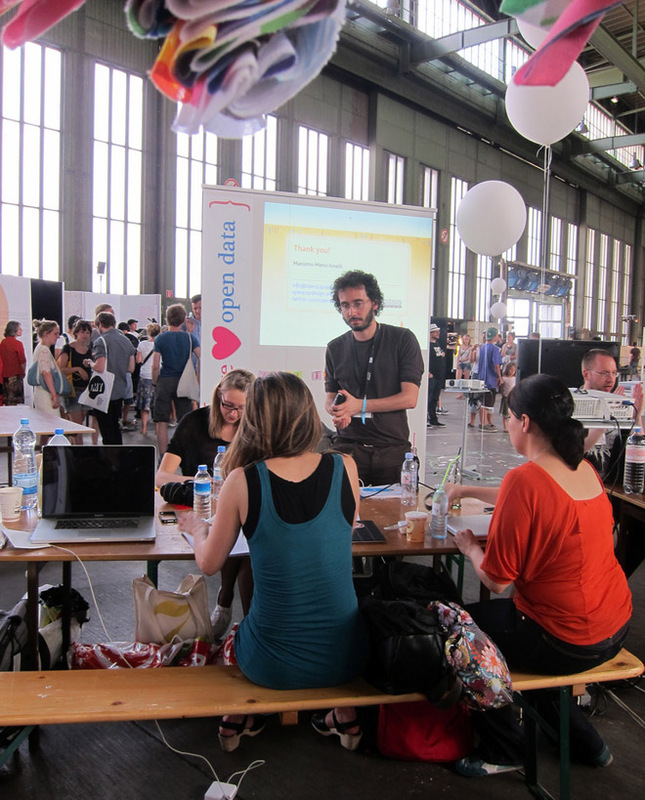 More info in weloveopendata.com blog. 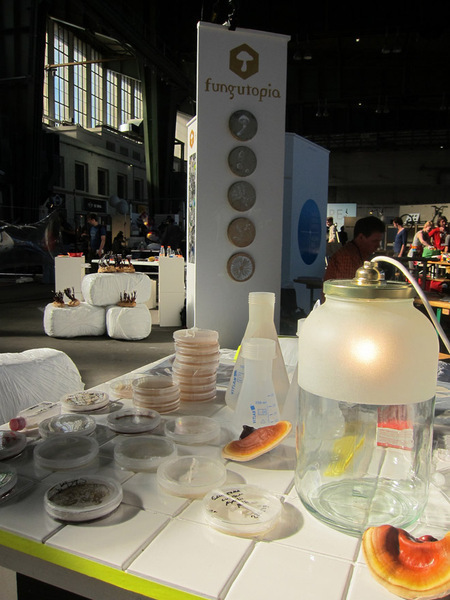 Our neighbours Fungutopia were giving workshops on how to grow mushrooms and in MakerLab spirit gave us a lot of practical help during the setup days... vielen Dank! You can find more information about these and other MakerLab projects from DMY Berlin website. 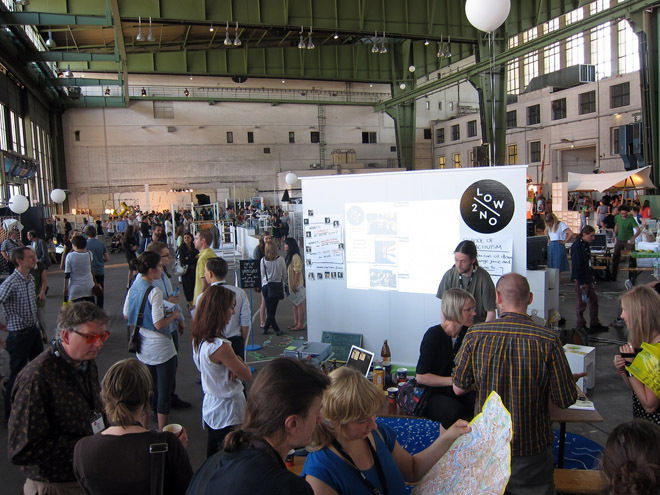 All the photos above (except the one about Bartaku's workshop) can be found from my DMY Berlin photoset.